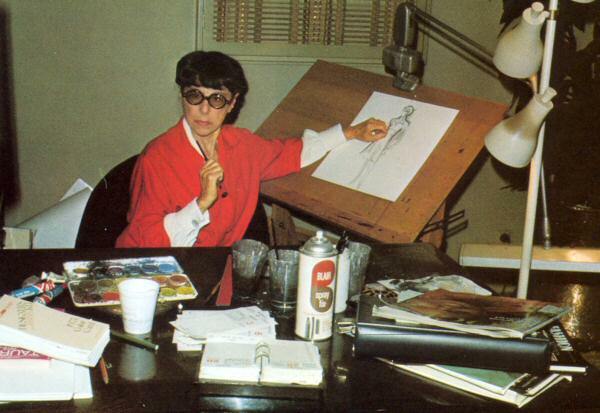 Edith Head was one of the most acclaimed costume designers in cinema history. Born in 1897, she started working on costumes in the early days of talkies and worked on almost 500 movies before her death in 1981. The last film she worked on "Dead Men Don't Wear Plaid" in 1982 is dedicated to her memory. Her early career was based at Paramount Pictures, but she moved to Universal in 1967. The massive Prop Building at Universal Studios Hollywood and the Costume building at Paramount are named in her honour. In a career spanning seven decades, Hollywood's most successful costume designer won an incredible eight Academy Awards, the absolute record for an individual, and was nominated thirty-six times. Her Oscar films include "The Heiress" (1949), "Roman Holiday" (1953) and "The Sting" (1973). Born in San Bernadino, California, Head received a Master's Degree from Stanford, before beginning a career teaching Spanish in La Jolla, California. In 1923, she landed a job as a sketch artist at Paramount, although she had no prior experience. She received her first screen credit in 1933, designing gowns for Mae West in "She Done Him Wrong". Five years later she became the studio's chief designer, creating costumes for well over 250 films. In 1966 she moved to Universal as chief designer, a position she held until 1975. Among her most notable films for Universal were "Marnie" (1964), "Sweet Charity" (1969), "Airport" (1970), "The Sting" and "Gable and Lombard" (1976). Her close professional relationship with Alfred Hitchcock lead her to work on all his later films. 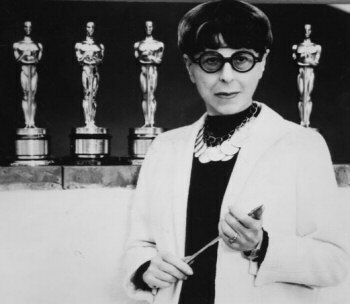 Edith Head was also Hollywood's most successful trendsetter, designing gowns for Marlene Dietrich, Barbara Stanwyck, Grace Kelly, Katherine Hepburn, Jane Wyman, Tippi Hedren, and many others. Her outfits, whether for on screen or off, exuded elegance and grace. " 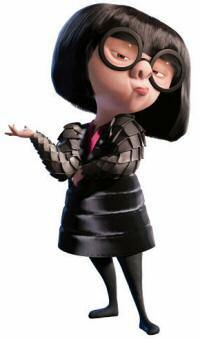 The character "Edna Mode", designer of superhero costumes in Pixar's The Incredibles is modelled on Edith Head. 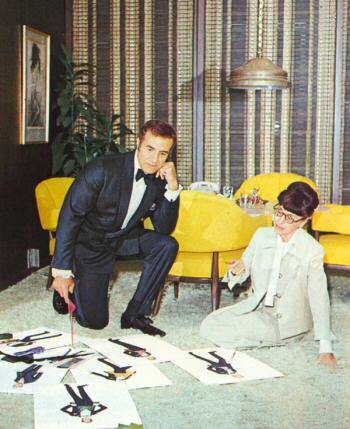 "The studio tour route leads past Edith Head's Offices, and visitors are often treated to a quick chat with the foremost lady of filmland fashions. Miss Head, winner of eight Academy Awards, frequently displays sketches of movie costumes she is designing and offers advice to visitors on how to improve their appearance."